Five Finger Death Punch News: Chris Kael: "There's only 35 Chris Kael Limited Edition Fundraiser Challenge Coins left in stock!" Chris Kael: "There's only 35 Chris Kael Limited Edition Fundraiser Challenge Coins left in stock!" 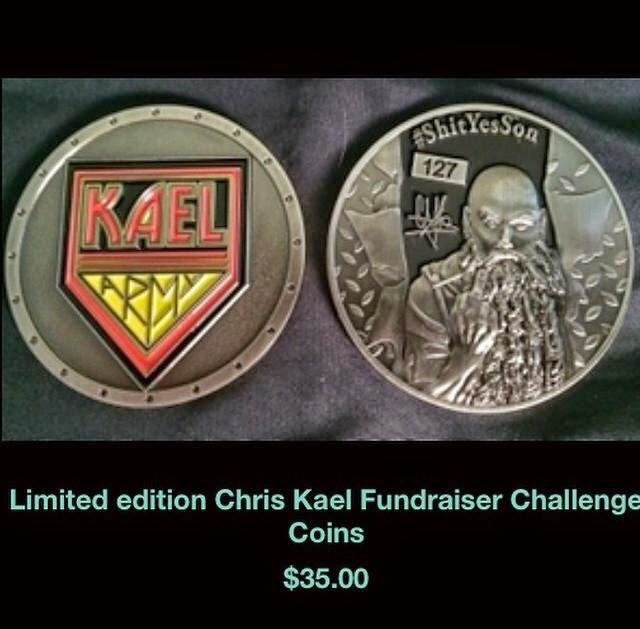 There's only 35 Chris Kael Limited Edition Fundraiser Challenge Coins left in stock! There were only 250 made and they won't be made again; so, grab yours at www.chriskael.com before they're gone. Proceeds go to The Wounded Warrior Project.